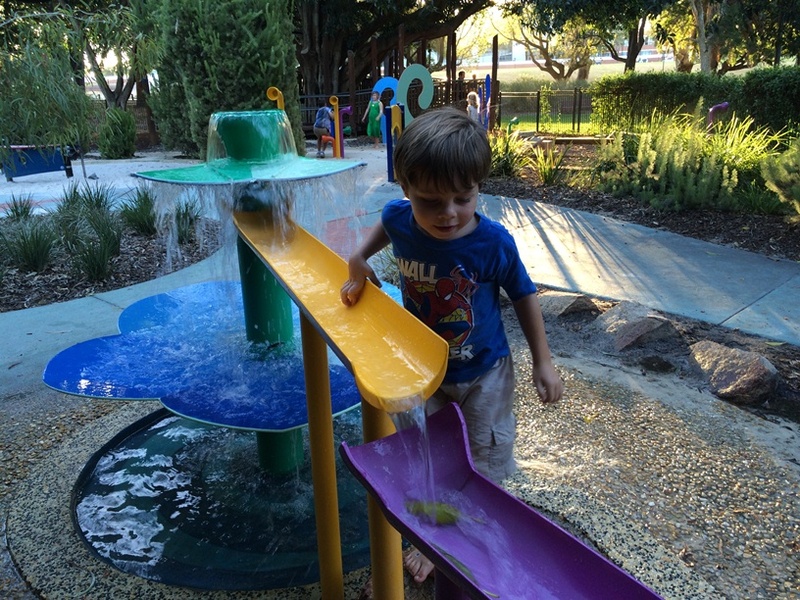 If you are looking for a good park to take your toddler, Mueller Playground Subiaco is perfect! 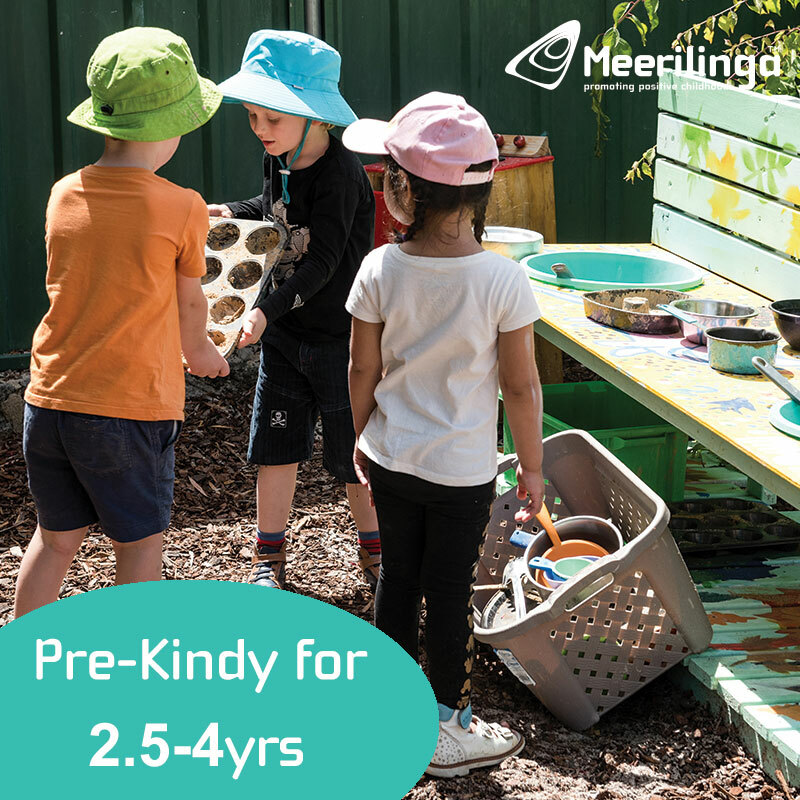 Located within Kitchener Park Subiaco, it has been designed for younger ones with low level play and a nature and sensory play focus. 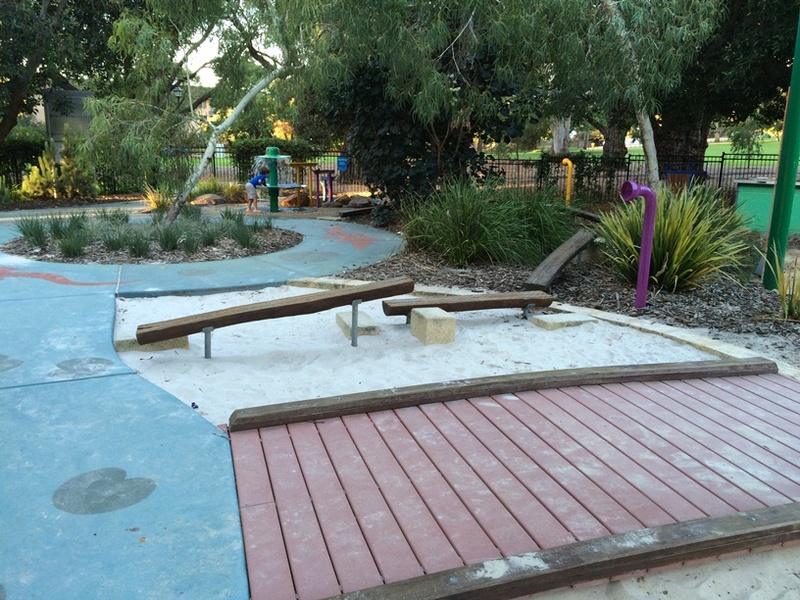 The kids will love racing each other up the wooden ramp that winds around the tree and down the slide. They'll be sure to do this over and over again. The water is turned off around 6pm in the evening and may not run a times due to maintenance. 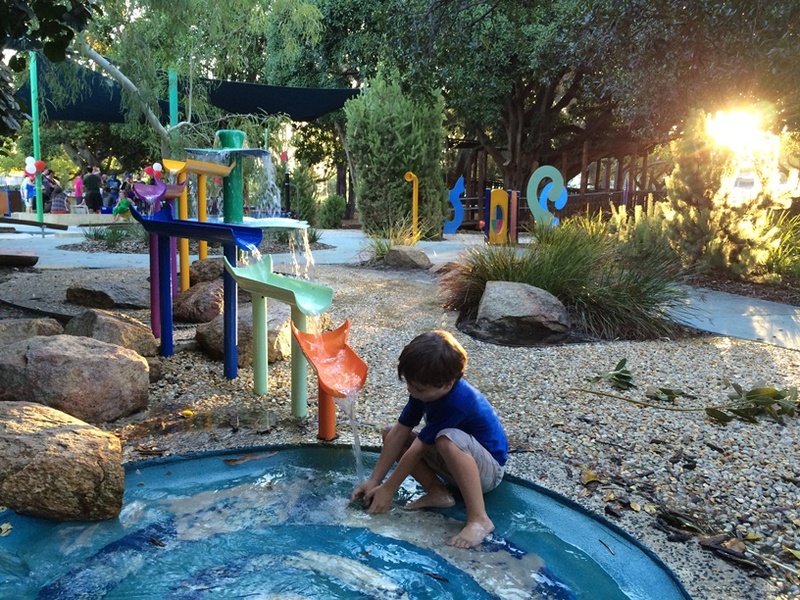 The playground as a whole is focused on sensory and nature based play - with drums, xylophone and coloured pipes you can talk into and listen. 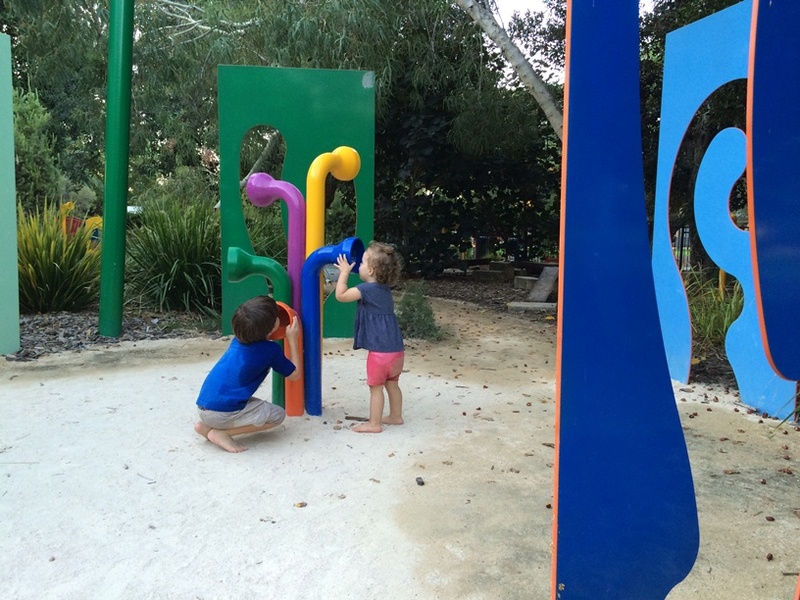 See how long it takes them to work out that the same coloured pipes in different sections of the playground are connected. There are also lots of balancing beams that wind through the beautiful gardens for some nature based play too. There is also a small climbing frame and birds nest style swing. 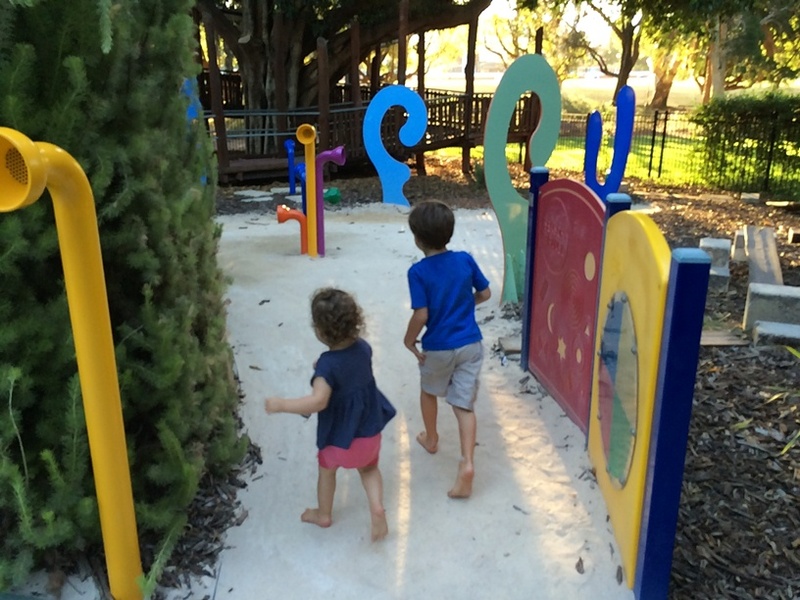 If you're keen there is a circular grassed area at the rear of the playground, great for taking in a light jog while you watch the kids play. Or perfect for laying out the picnic rug. 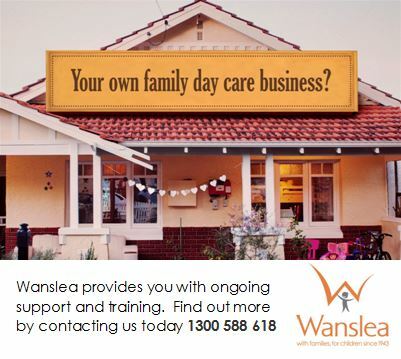 There are lots of free BBQs, shade, bench seats and tables - so it's perfect for a family gathering, catch up with the Mums or kids birthday party. 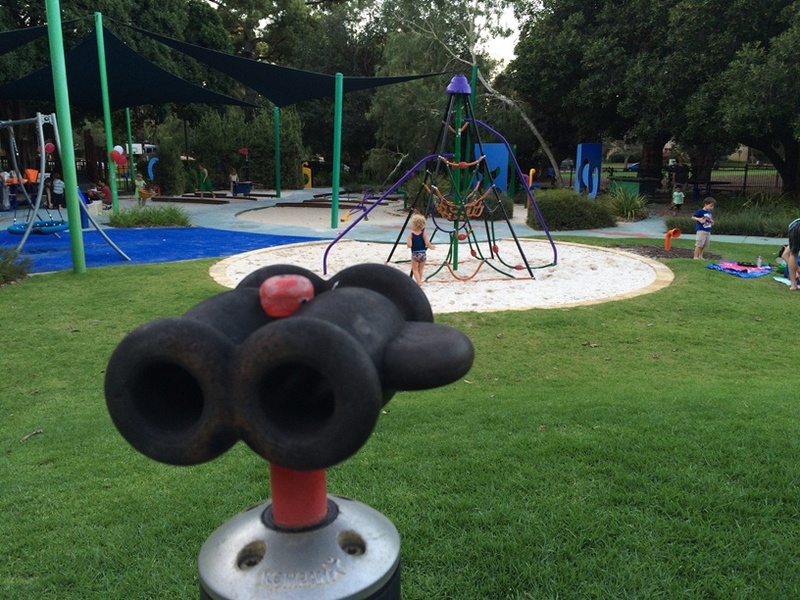 Parking around Kitchener Park is paid by the hour - or you can catch the train to Subiaco Train Station and take the short walk to the park. 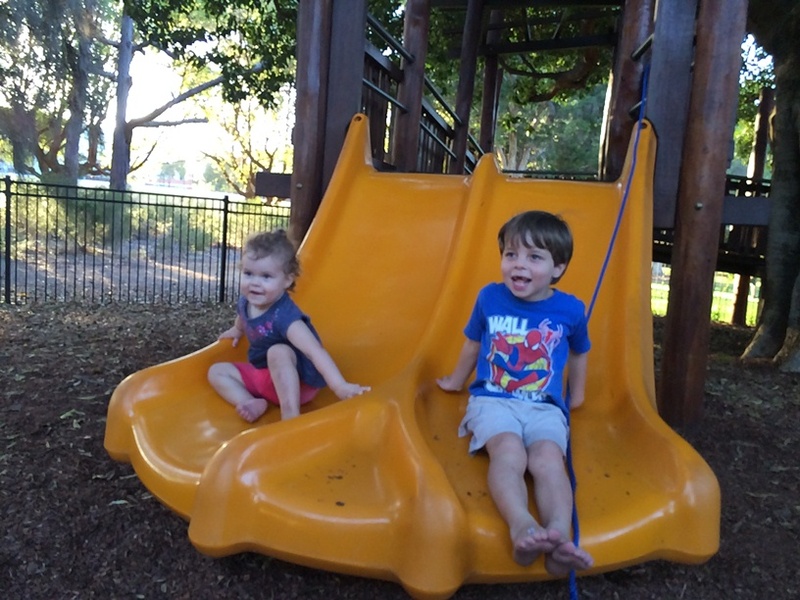 The whole playground is fully fenced and is circular shaped so you can see the kids clearly from any location in the park - if you are looking for somewhere the kids will love and where you can relax to catch up with friends and family - you will love Mueller Playground Subiaco, its one of our favourites. 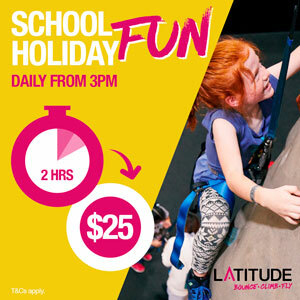 How to Get There - Mueller Park (next to Pattersons Stadium) Roberts Rd Subiaco - free parking on Subiaco Rd, or catch the train to Subiaco Train Station and walk towards Pattersons Stadium. Posted by Kids Around Perth Reporter Lauren, 31st October 2012.